When planning for a major international convention hit a snag, First Travel Solutions stepped in to help. In 2014 the Jehovah’s Witnesses held their international convention in the UK. The event was held at Twickenham Stadium, with live telecasts to six other UK venues and internationally. First Travel Solutions had worked with the church a year earlier in Leeds. For that event, we had transported 50 congregations from across the north of England. Because the venue had very limited parking, we had devised a precise schedule to allow smooth access for each coach. On the basis of that successful project, the Jehovah’s Witnesses asked us to supply transport for the regional elements of the international convention – supporting venues in Glasgow, Leeds, Liverpool, Manchester, Newcastle and Sheffield. However, a few weeks before the event, the church realised that its London contractor was unable to meet its needs for the main Twickenham venue. At short notice, we were asked to plan and deliver transport for this complex operation. We quickly realised that a park-and-ride solution would be the most efficient option to cope with the huge volume of worshippers who would arrive at Twickenham. We contacted nearby Kempton Park racecourse. We arranged to set up a large coach park there, where vehicles could stay during the course of the three-day conference. In the run-up to the event, we provided taxi and mini-bus transport for international visitors between airport and hotel, and then to Twickenham. Sourcing the volume of coaches required during the event was a challenge. We drew on our extensive network of trusted providers around the UK, coordinating up to 500 vehicles a day at Twickenham and the regional venues. 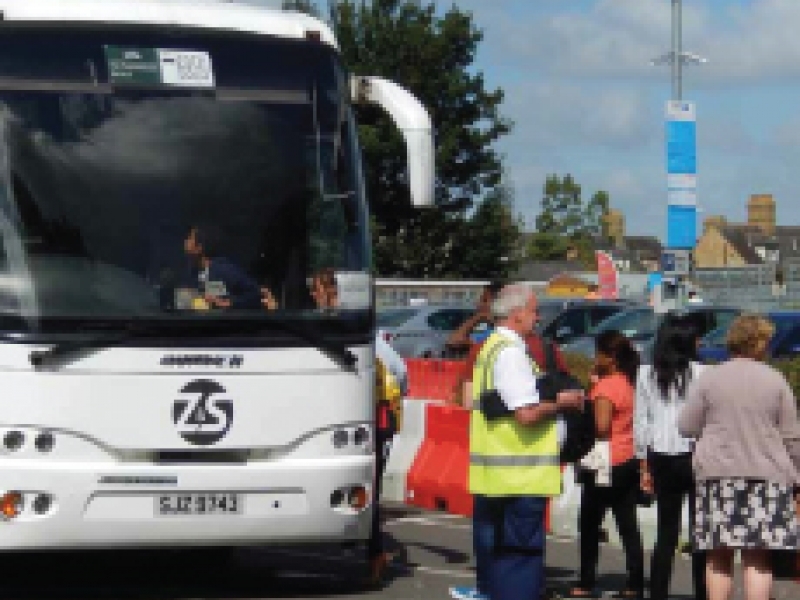 We provided stewards at Kempton Park and Twickenham who liaised constantly with our round-the-clock control room to track each vehicle and deal with any breakdowns, cancellations or requests for additional support. The convention proved highly successful, with smooth-running transport throughout. In London alone we moved some 14,900 passengers over the three days, using 272 vehicles. Nationwide, we deployed over 600 vehicles. As a result, we continue to support local Jehovah’s Witnesses congregations around the UK with their regular travel needs.